An overhead rendering for Red Hoek Point on the neighborhood's waterfront. 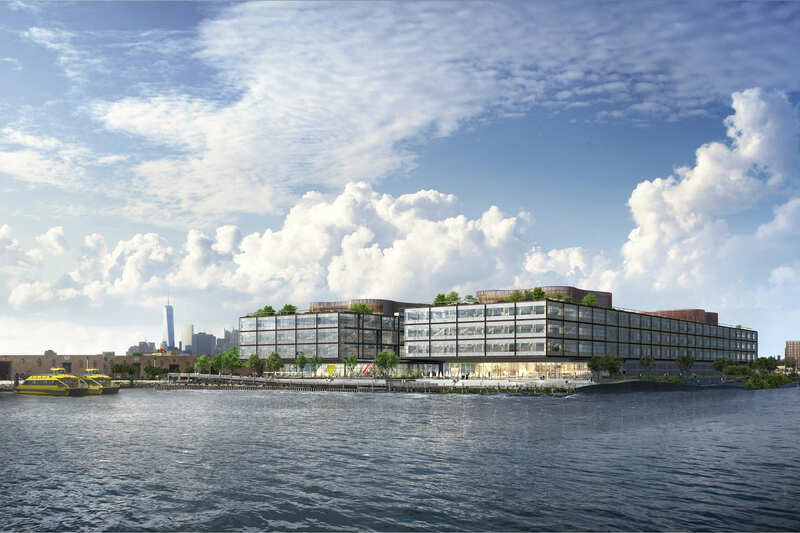 RED HOOK — The developer of a 7.7-acre office campus and "waterfront esplanade" in Red Hook is getting ready to break ground on the site. Thor Equities is building the complex, called "Red Hoek Point," at the former Revere Sugar Refinery site next to IKEA on the Erie Basin. The buildings are being designed by Norman Foster, of Foster + Partners, known for the Hearst Tower addition in New York and The Gherkin in London. Preparatory work began Wednesday and includes cleaning up the area in anticipation of the official groundbreaking, a spokesman for Thor Equities said via email. The last remnants of the century-old sugar factory were cleaned off the site in recent days. 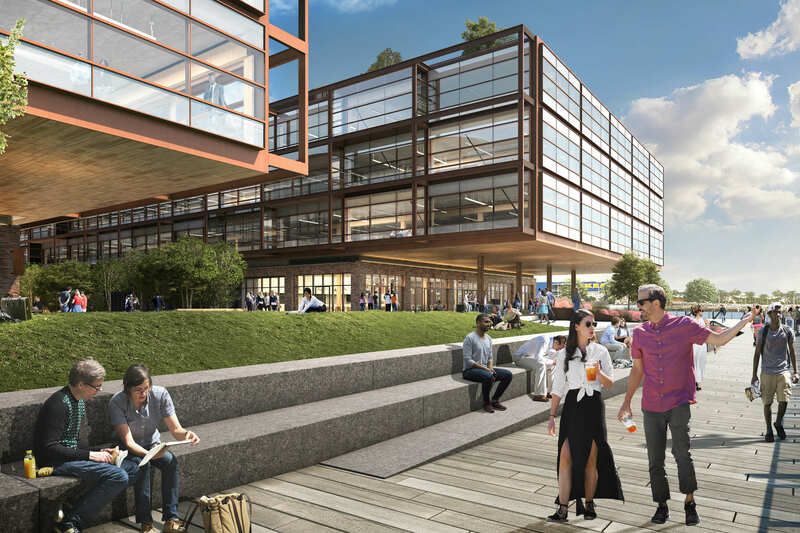 The project features two buildings with 795,000 square feet of "creative office space" on three levels as well as 23,000 square feet of retail and restaurant space, according to an announcement from the developer which reportedly purchased the site in 2005 for $40 million. 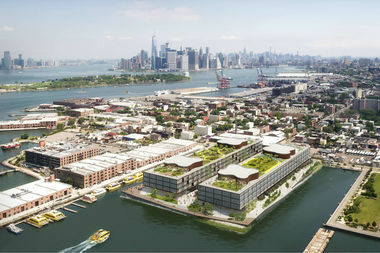 In an effort to create "an aesthetically pleasing work environment" and to connect with Red Hook's industrial past, Thor plans to use heavy timber as construction material for columns, beams and floor slabs on the upper office floors — "making it the largest new heavy timber structure in North America," the developer said. Concrete will be used for the ground level, the foundation and underground parking. "Heavy timber was traditionally used over a century ago for many post and beam industrial structures and it has recently come back into play as a commercial construction material via cutting edge building technology and fabrication methods," spokesman Joshua Greenwald said via email. "The carbon footprint of a responsibly sourced heavy timber structure is far lower than a comparable concrete or steel structure," he added. Along with the office complex, the site will feature a waterfront esplanade designed by SCAPE, a central courtyard, 1.8-acre green rooftops on each building, bike valet and a kayak launch. A view of the Statue of Liberty will be available to tenants of upper floors or from the roof. 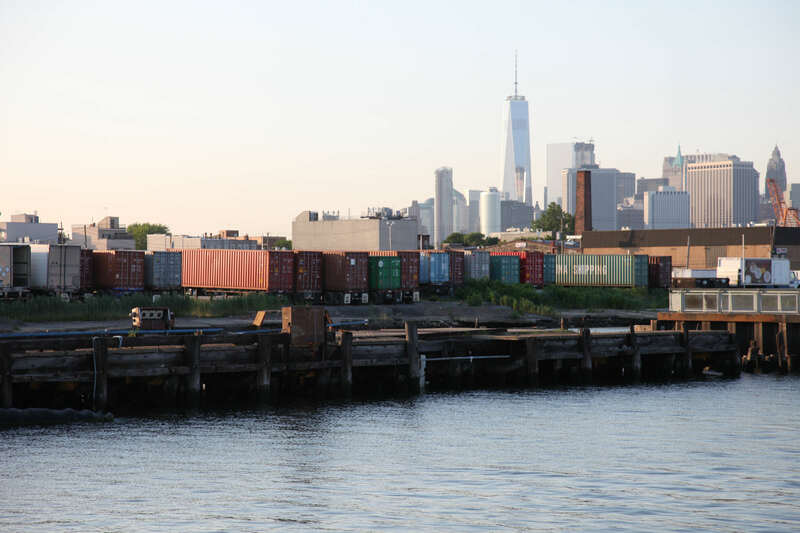 Elsewhere in the neighborhood, Italian developer Est4te Four is also planning a massive office space and "manufacturing" collective near Atlantic Basin in Red Hook.